John Hiatt Solo & Acoustic - Otter Productions Inc. | Otter Productions Inc. John Hiatt Solo & Acoustic - Otter Productions Inc.
Nashville, TN – July 11, 2014 – “He prowls the stage, delivering the bluesy stuff in a whiskey-burn howl, shouting the rock stuff … from ballads to bombast,” The Tennessean recently declared of John Hiatt. 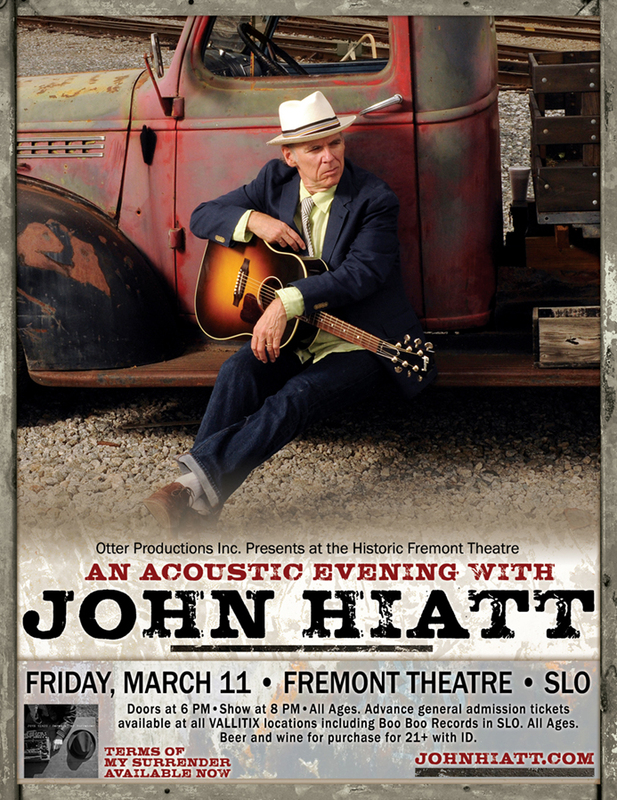 John Hiatt, solo and acoustic, returns to the Central Coast on Friday night, March 11, in an all ages show at the Historic Fremont Theatre in downtown San Luis Obispo. John Hiatt will be performing some of his most beloved songs, (perhaps) including “Crossing Muddy Waters,” “Thing Called Love,” and “Have A Little Faith In Me” as well as several off his new album, Terms Of My Surrender (July 15, 2014; New West Records) in an intimate, solo acoustic format that puts the singer/songwriter center stage. Nashville Songwriters Hall of Fame and was saluted at the Indiana Governor’s Arts Awards. 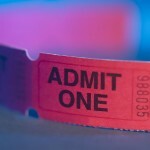 Advance general admission tickets ($40 plus handling fees) are on sale NOW at all VALLITIX outlets including Boo Boo Records in SLO. Charge by phone at (888) 825-5484, order on line at: www.vallitix.com .